The dairy-free dessert is made from a pineapple-flavored dry mix that’s combined with water and pumped out of a soft-serve machine. 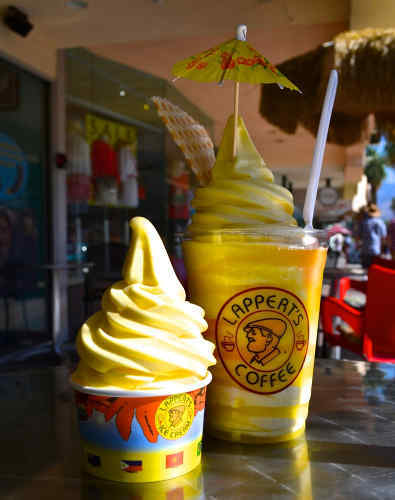 No need to travel all the way to Hawaii or Disneyland to get a creamy, refreshing, mouth-watering DOLE Pineapple Cup or Float! Just come on down to Lappert’s Palm Springs and enjoy this delicious tasty treat. We’re you’re local source for this warm-weather treat! Dairy-Free, Fat-Free, Gluten-Free and Vegan. It’s just about the perfect dessert!